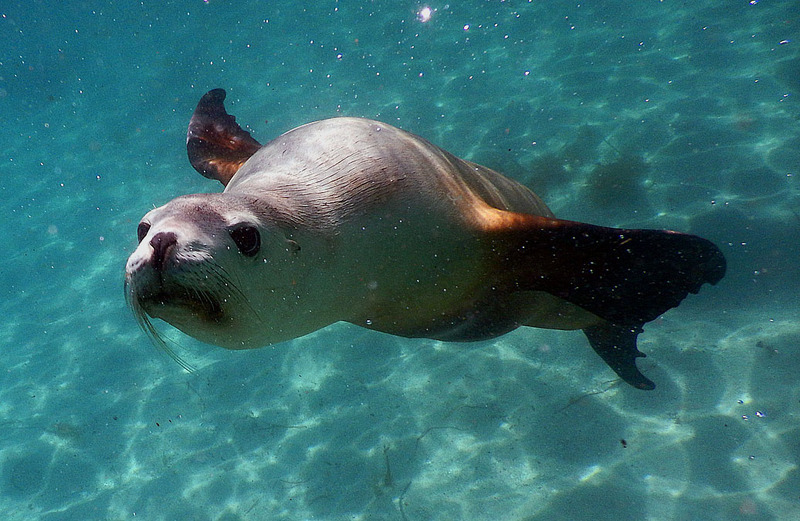 The Australian Sea Lion is certainly one of the darling species in the South Australian wildlife catalogue. Best known for their favourite beach at Seal Bay on Kangaroo Island (KI), these delightful critters are distributed all along the southern and western coastline between KI and as far west as the Abrolhos Islands. But all is not well in the pinniped* world. As we swim among them here at remote Hopkins Island a few clicks offshore from Port Lincoln, the young animals taunt and tease us with playful antics, posing for our cameras and nibbling curiously on our fins. It's an idyllic life out here for them. Or so it seems. 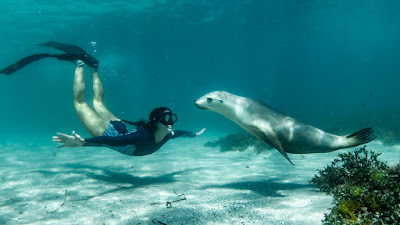 Australian Sea Lions have enjoyed protection for almost 100 years since the hunting of all pinnipeds ceased in the mid-1920s. While their boisterous cousins, the fur seals, have recovered substantially in that time, the story has not been the same for the sea lions. 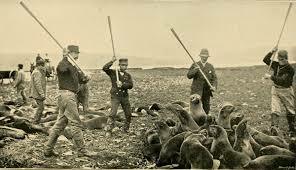 Fur seals and sea lions were hunted to the brink of extinction in the 19th century. 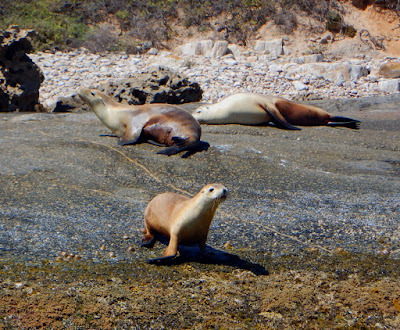 Sea Lions fared particularly badly as their populations are slow to recover. As a result of the unregulated hunting throughout the 19th century, the sea lion has vanished from all sites in Victoria and Bass Strait and populations elsewhere have been painfully slow to recover, so much so that perhaps fewer than 12,000 individuals remain. 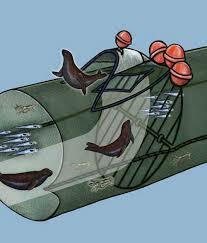 A Seal Exclusion Device is designed to allow seals to escape trawler nets. They are also on the menu for the only mammal-eating shark, the fearsome Great White. 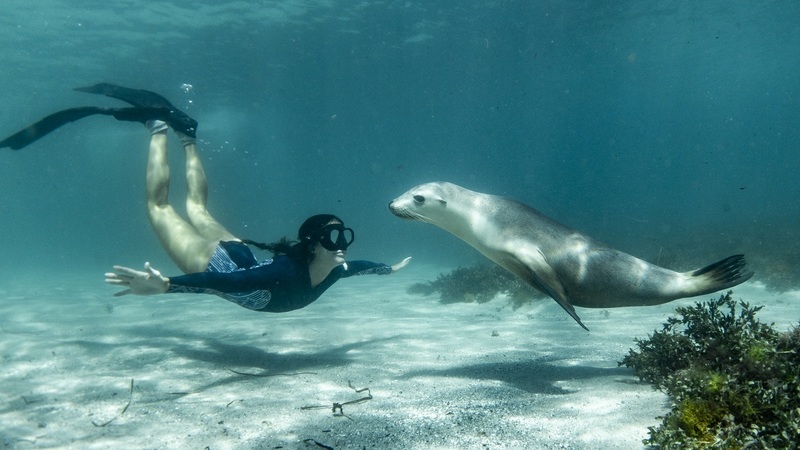 Swimming with these fun-loving mammals is certainly one way to draw attention to their plight and commercial swims are available out of Port Lincoln and Baird Bay for regular tourists. True North continues its voyage through South Australian waters before concluding in Ceduna.